Below are Elvis tribute artists who have won preliminary rounds of the Ultimate Elvis Tribute Artist Contest. 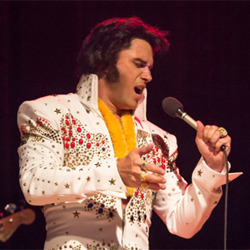 The tribute artists posted on this page will travel to Memphis during Elvis Week 2019 to compete in the Semifinal Round of the 2019 Ultimate Elvis Tribute Artist Contest. If you are an Elvis tribute artist and interested in competing, check out our list of Ultimate Elvis Tribute Artist Contest preliminary rounds. 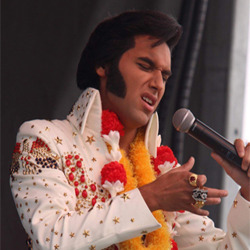 Cote Deonath of Ocalla, Florida, has been an Elvis tribute artist for 18 years. This is Cote's fourth time to compete in the Ultimate ETA Contest, and he says it's a dream come true to pay tribute to the man he considers to be the greatest entertainer to ever live. He would describe Elvis as "electric," and his favorite Elvis song is "Unchained Melody," because Elvis sang it with such emotion. His favorite Elvis song to perform is "Suspicious Minds." Jake Slater of Bellaire, Michigan, became an Elvis fan at the age of 6 when he heard Elvis' "(You're So Square) Baby I Don't Care." 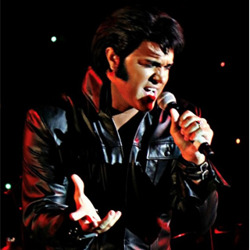 He has been an Elvis tribute artist for 10 years and has performed for audiences of all sizes. He says Elvis is his hero, and his favorite song to perform is "Baby What You Want Me To Do." His favorite Elvis song is "Baby Let's Play House." Diogo Light is from Porto Alegre, Brazil. From the time he was a small child listening to his father's Elvis records, he's been a fan. He has read extensively about Elvis' life, studying his performances and singing style. He considers it to be a great honor and blessing to pay tribute to the greatest entertainer of all time. Diogo says that being an Ultimate ETA Contest semifinalist is an honor, and that he embraces the responsibility with love and respect. He has too many favorite Elvis songs to pick just one. Brody Finlay, 22, has grown up always loving the sounds of Elvis Presley. He has been around various rock 'n' roll performers and singing on stage since the age of 5. 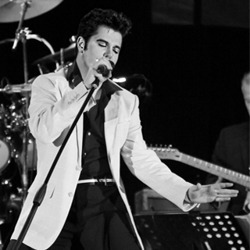 A few years ago, Brody was scouted to perform as Elvis in Sydney. 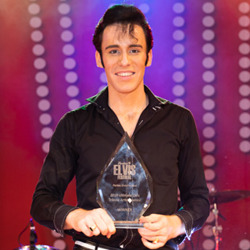 Since then, his likeness to the king's movements, voice and features have grown to make him one of Australia's youngest Elvis tribute artists.Brody has competed in the Ultimate Elvis Tribute Artist Competitions in Parkes in 2017 and 2018, performed in clubs, RSL’s, casinos and theatres across Australia. His favorite Elvis song is "They Remind Me Too Much of You," and his favorite song to perform is "Peace in the Valley." As a young boy Mark was introduced to the music and styling of Elvis Presley. Immediately loving this phenomenon, he immersed himself in everything Elvis and quickly found that he had a natural gift for music. He went on to use this talent to pay tribute to the king. Frequently traveling the globe, he continually tours with his three production shows, which illuminate the pinnacles of Elvis' stellar career and turn the spotlight back to where it belongs, on to the king himself, Elvis. Mark said he loves how Elvis fans around the globe are one big family. His favorite Elvis song is "If I Can Dream" and his favorite Elvis song to perform is "Steamroller Blues." Takeru Tanaka has been performing his tribute to Elvis for more than 20 years in Tokyo, Japan. He became an Elvis fan in high school when he saw the documentary "Elvis on Tour." 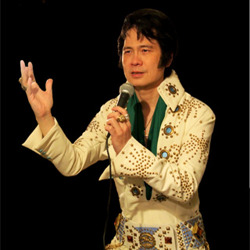 He began studying Elvis and published a book, "The Fascinating Elvis (Miwaku-no Elvis)" in 2007. He has written many articles for various Elvis fan magazines, as well as the liner notes for the Japanese release of Elvis CDs. This is Takeru’s first time to compete in the Ultimate ETA Contest, and he says it's "the impossible dream come true." 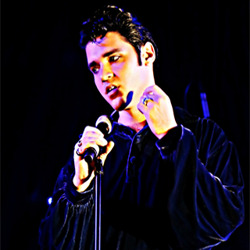 His favorite Elvis songs are mostly ballads, especially songs like "Always On My Mind" and “It’s Midnight." Al Joslin was inspired to become an Elvis Tribute Artist after visiting Graceland when he was 17. He began performing his tribute after graduating from college and has been performing for 13 years. Al has been impacted by Elvis and his music in such a powerful way, and it is his number one goal to give a respectful and sincere tribute to his enduring legacy. Radney Pennington has been paying tribute to Elvis for several years. 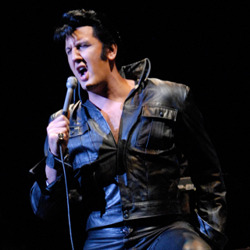 He was the youngest "Elvis" to perform in the musical "Million Dollar Quartet." Radney is also a singer-songwriter and the youngest person to record at Sun Studio in Memphis, having recorded there at the age of 5. He describes Elvis as "amazing" and said his favorite Elvis song is "My Happiness." His favorite Elvis song to perform is "First in Line."